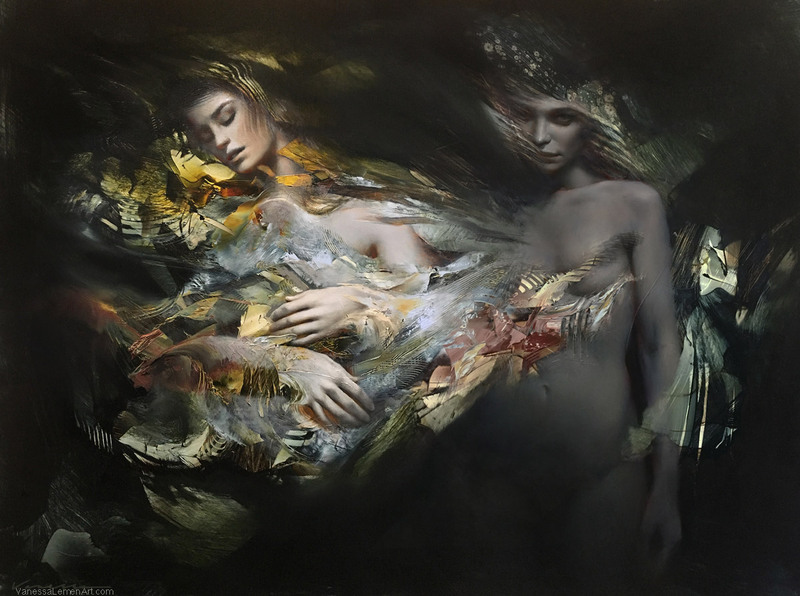 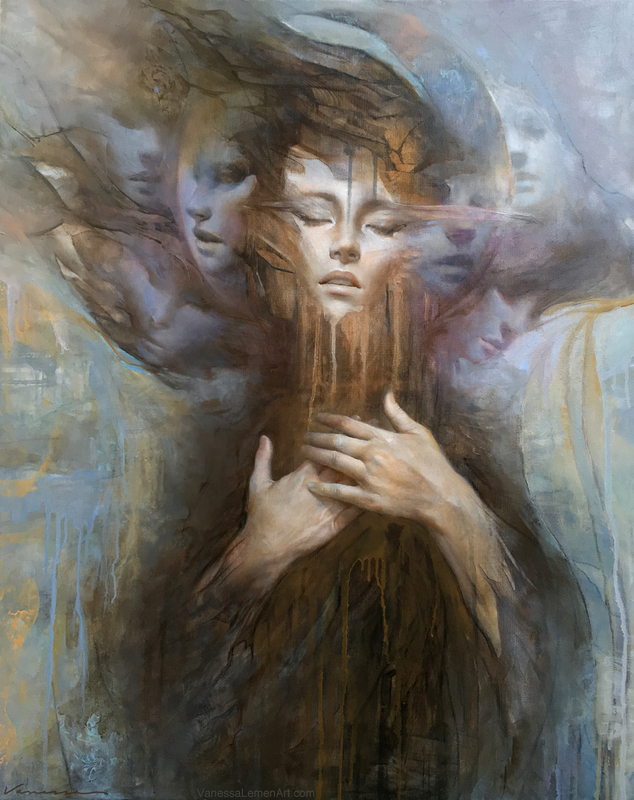 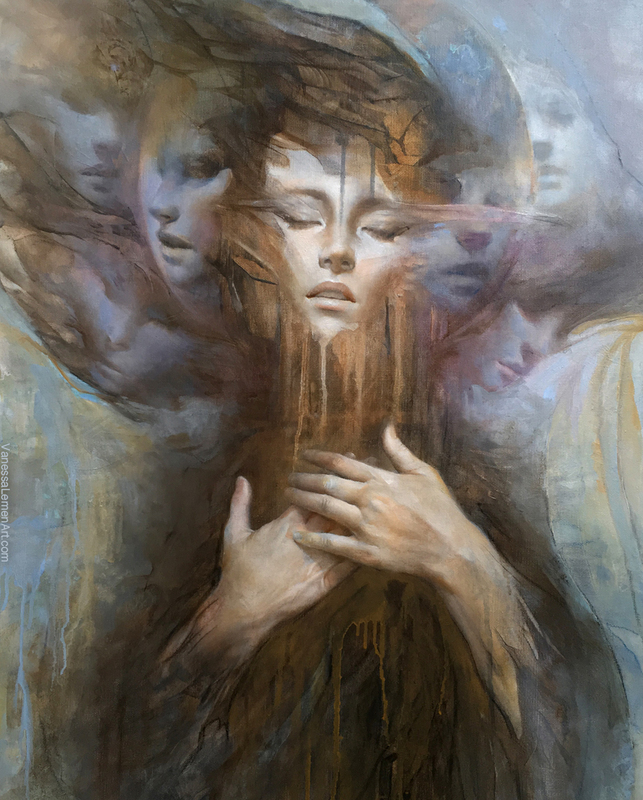 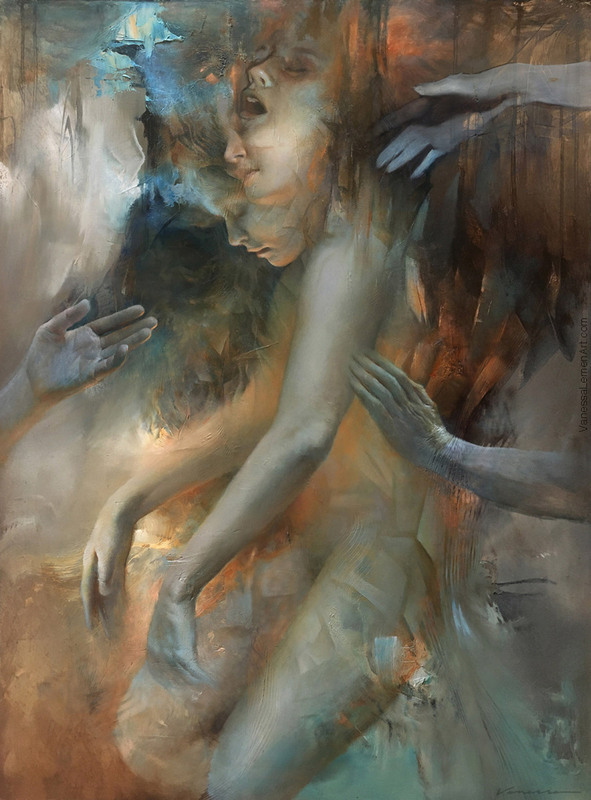 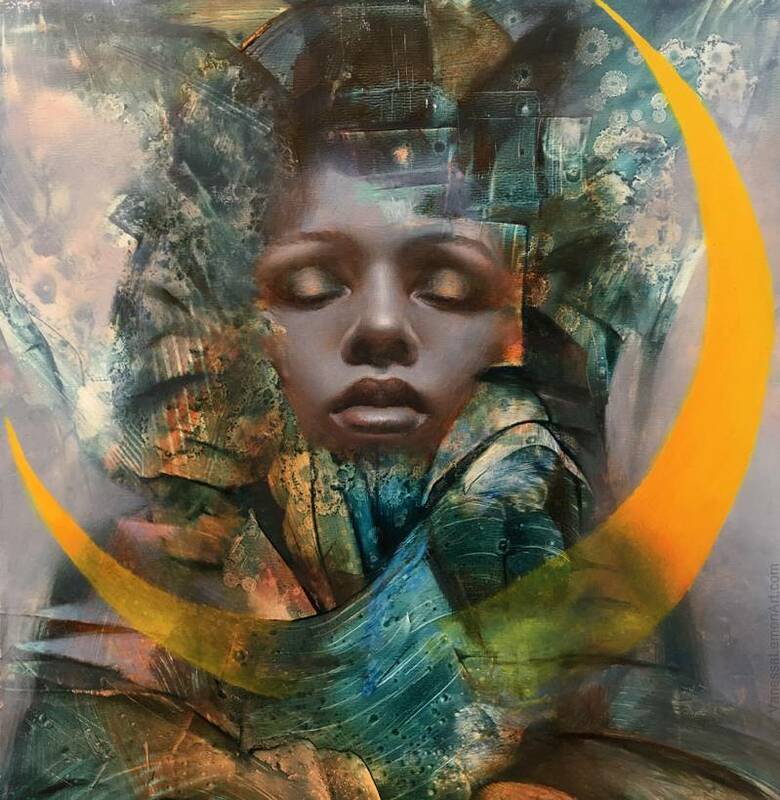 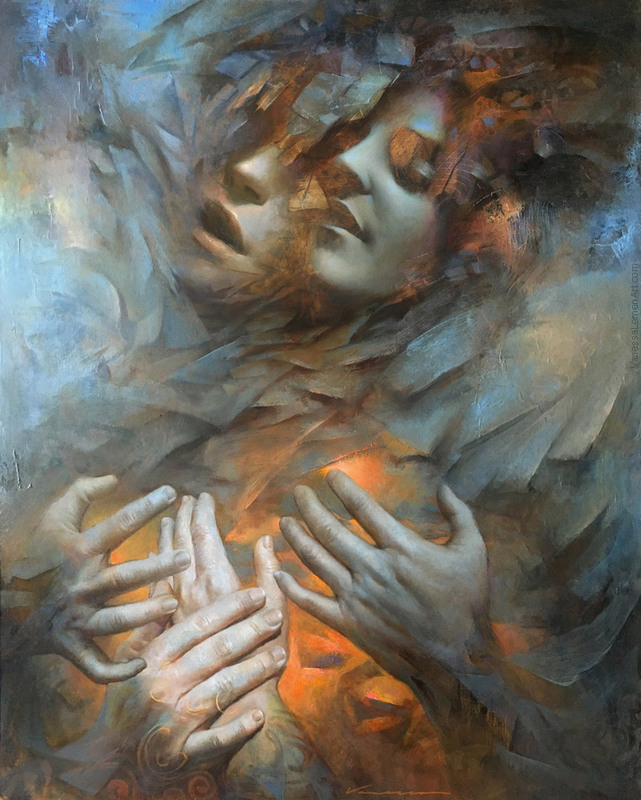 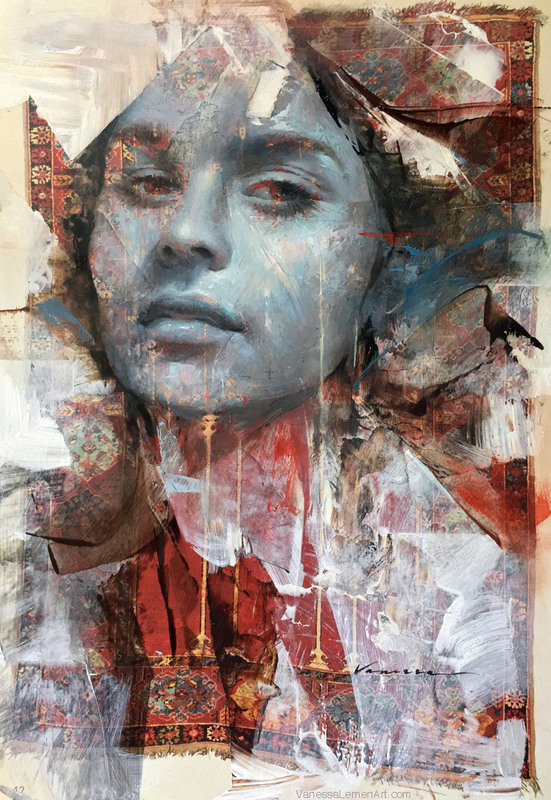 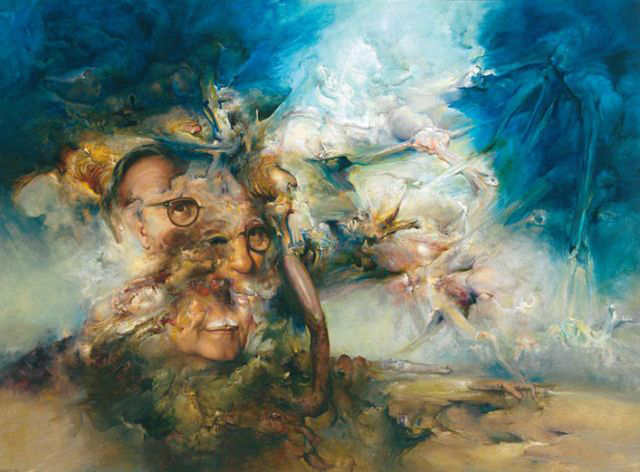 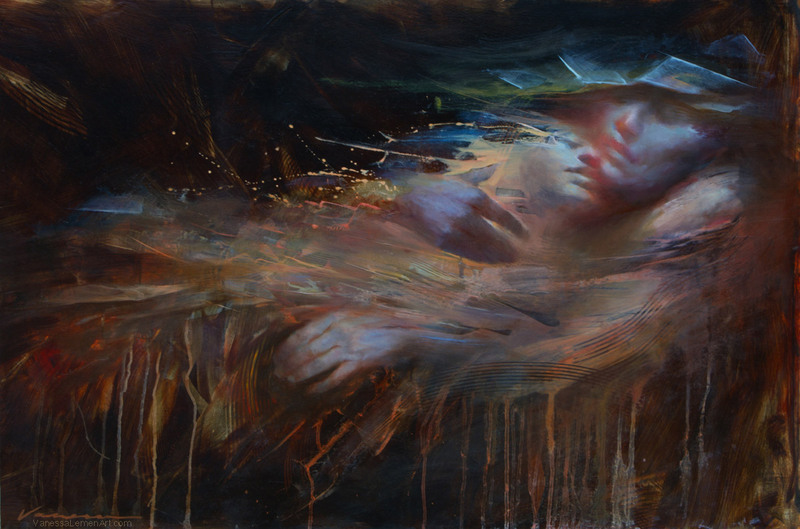 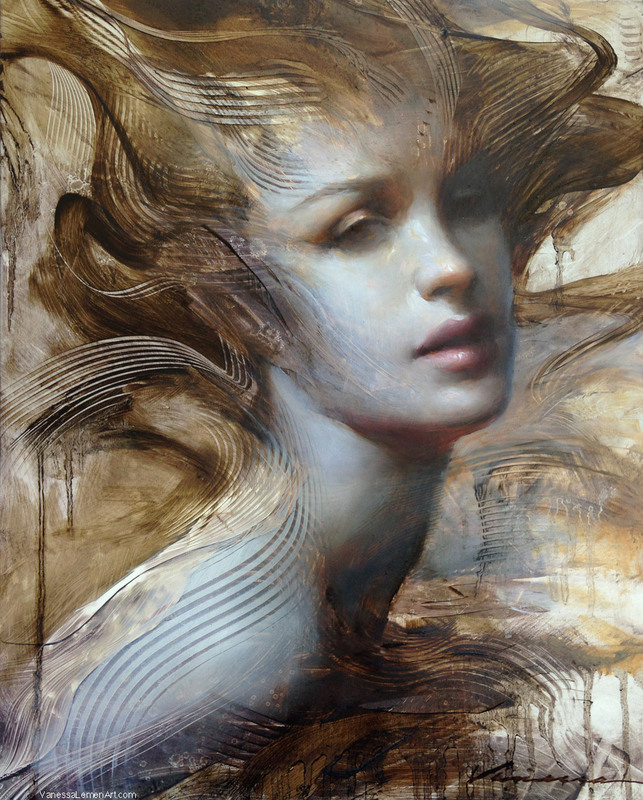 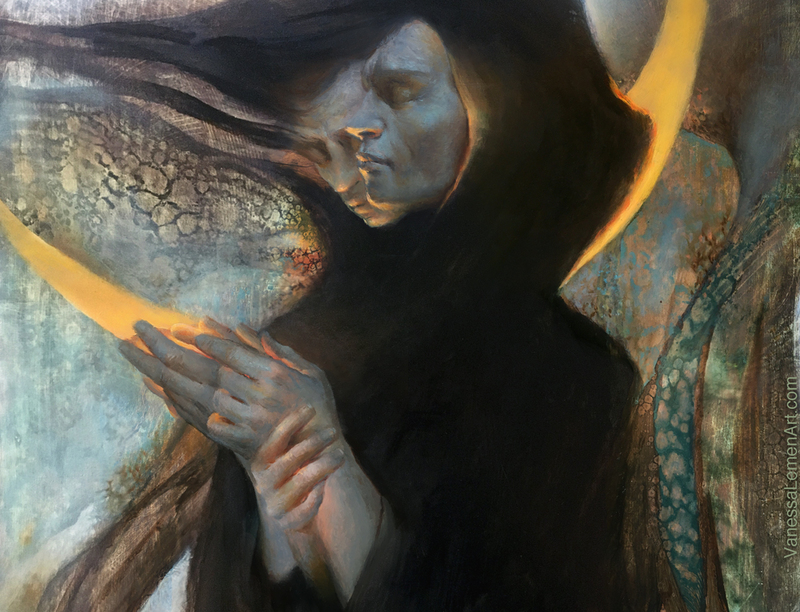 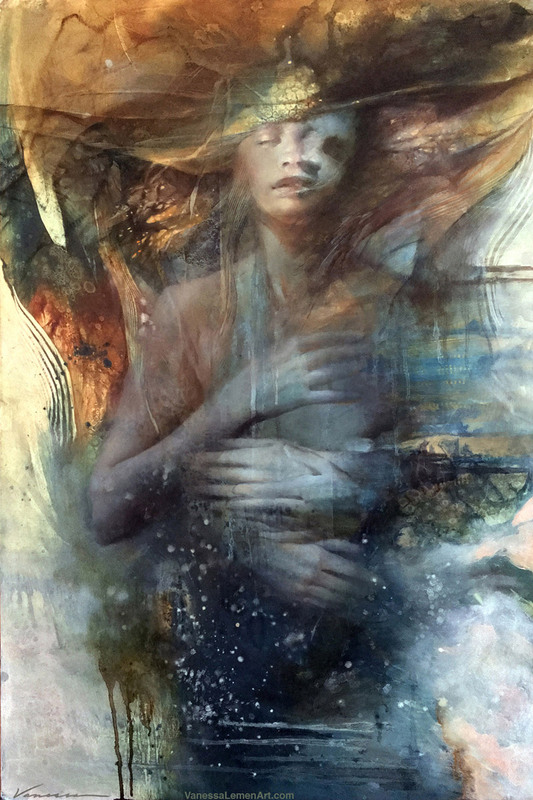 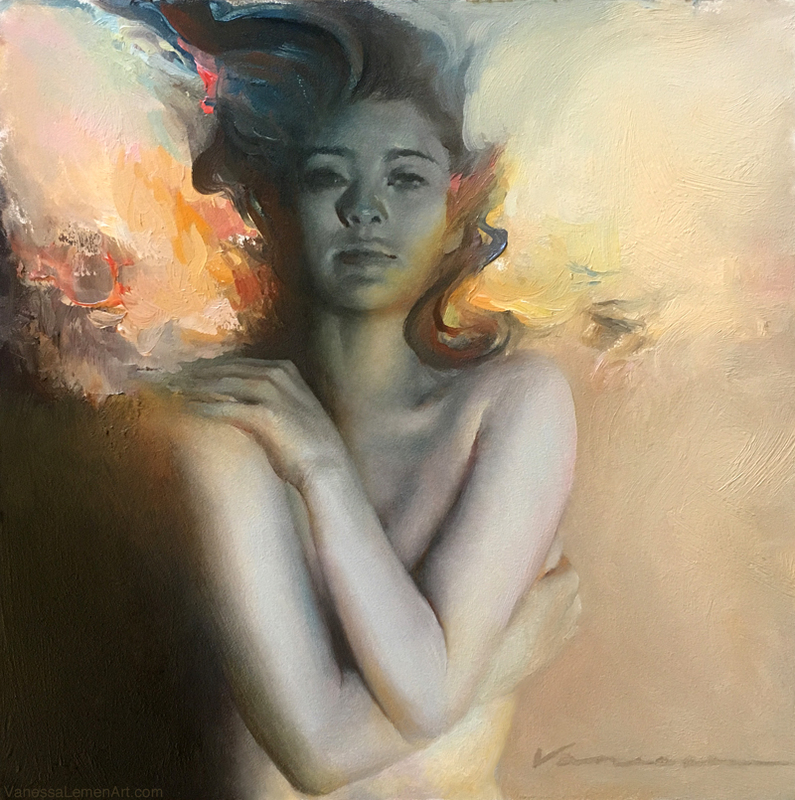 Vanessa Lemen is a painter and educator based in Carlsbad, CA, and her work has shown in galleries and exhibitions nationwide. 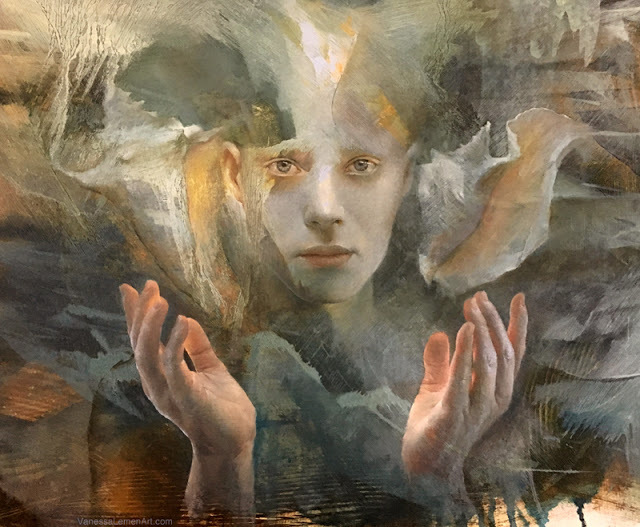 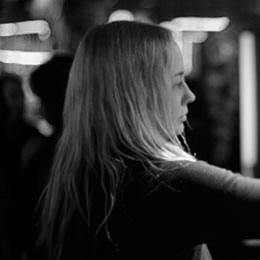 She has an extensive background in both online and in-studio instruction teaching drawing, painting, illustration and design in traditional and digital media. 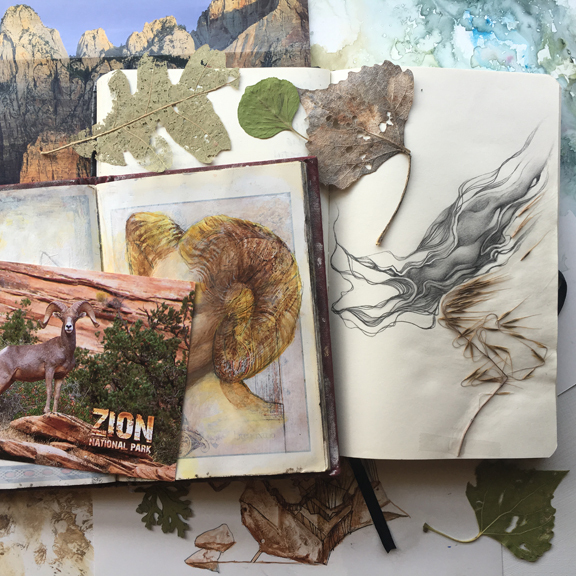 She and her husband, Ron, together run an online program instructing art and mentoring artists, as well as instructing at workshops in various locations in Southern CA and across the country, including The Fantastic Workshop with 1FW, and yearly week-long intensive creative excursions with Legendeer. 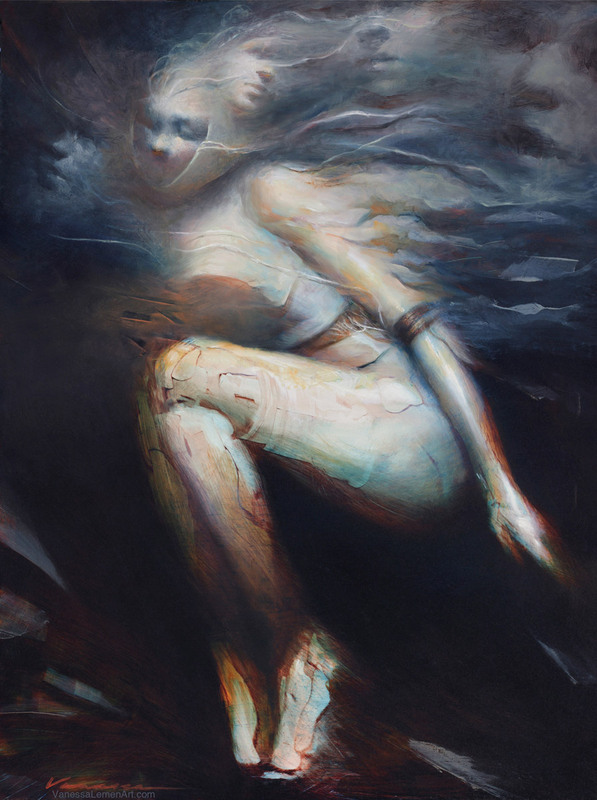 Vanessa’s work is in private collections internationally, has exhibited in the Main Show at IX Arts for the past several years, and can also be found at the online gallery EveryDayOriginal.com and IXgallery.com. 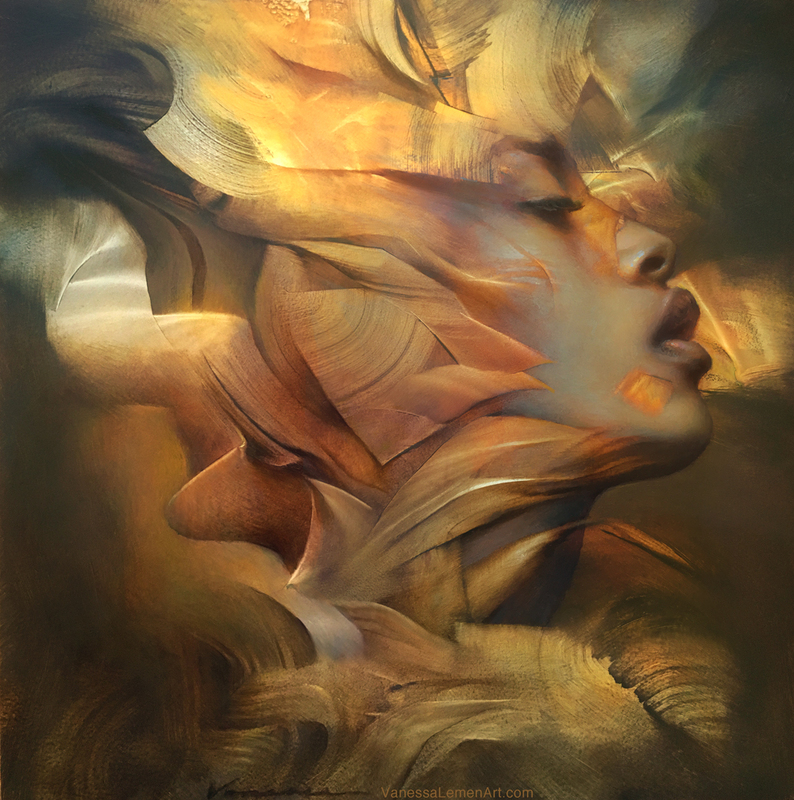 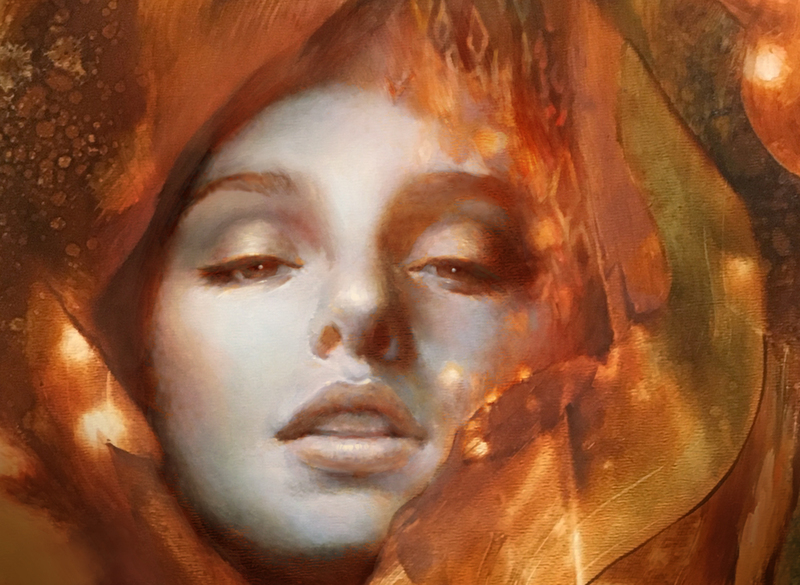 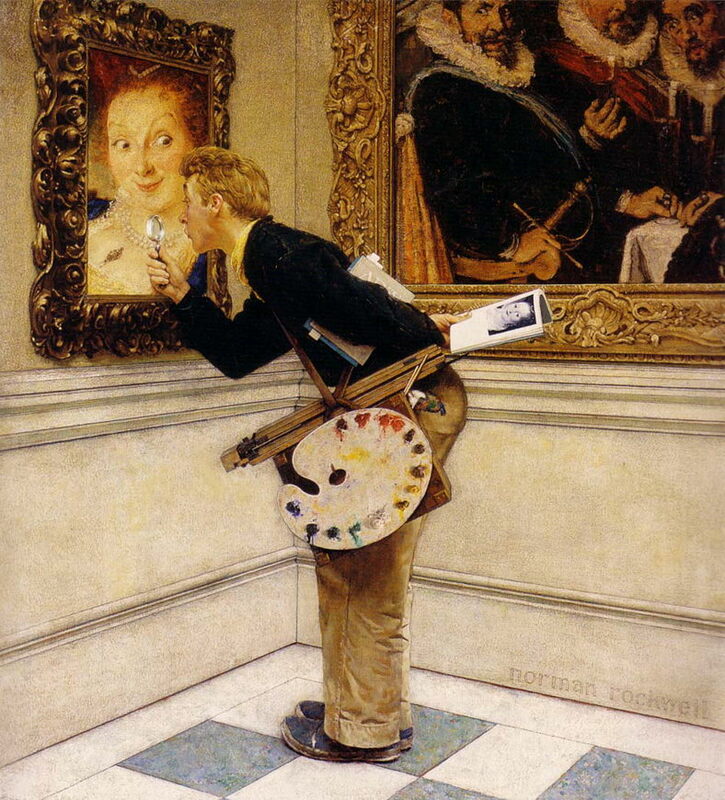 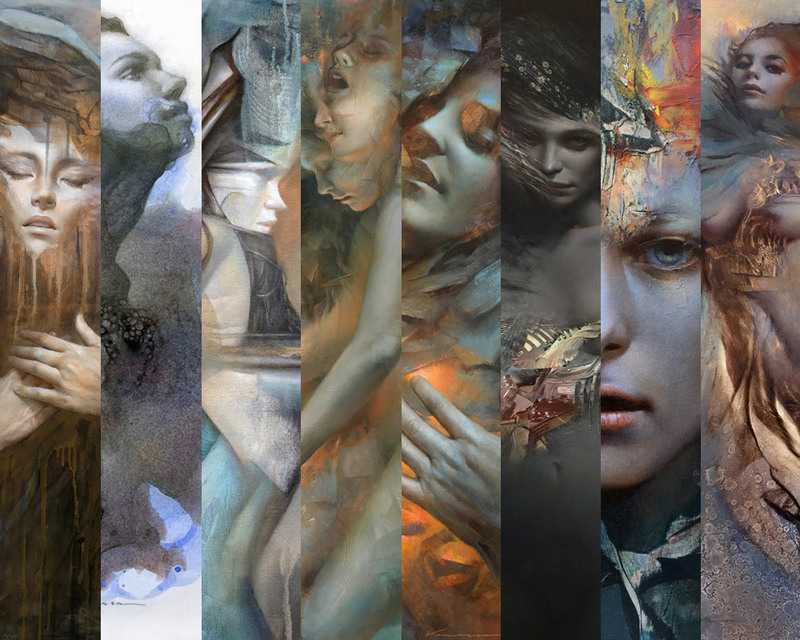 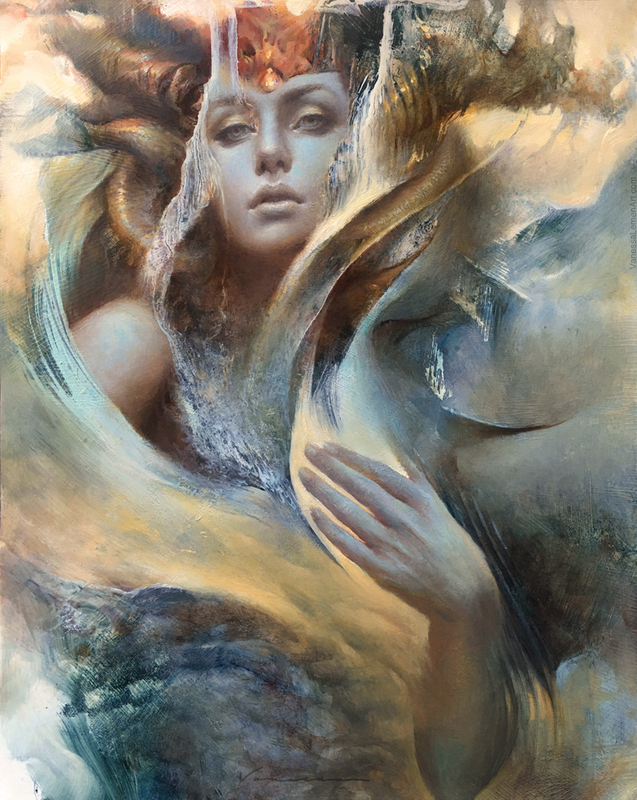 Published in such art books as Spectrum, Women of Wonder, and Infected By Art, she has also been featured in articles in magazines such as Painter and ImagineFX, writes monthly columns for the Muddy Colors blog, and has been interviewed by the One Fantastic Week webcast. 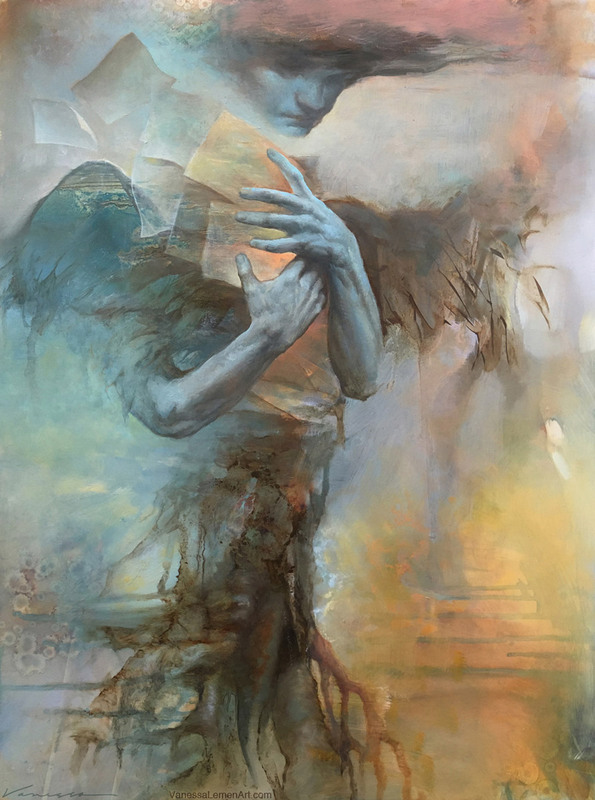 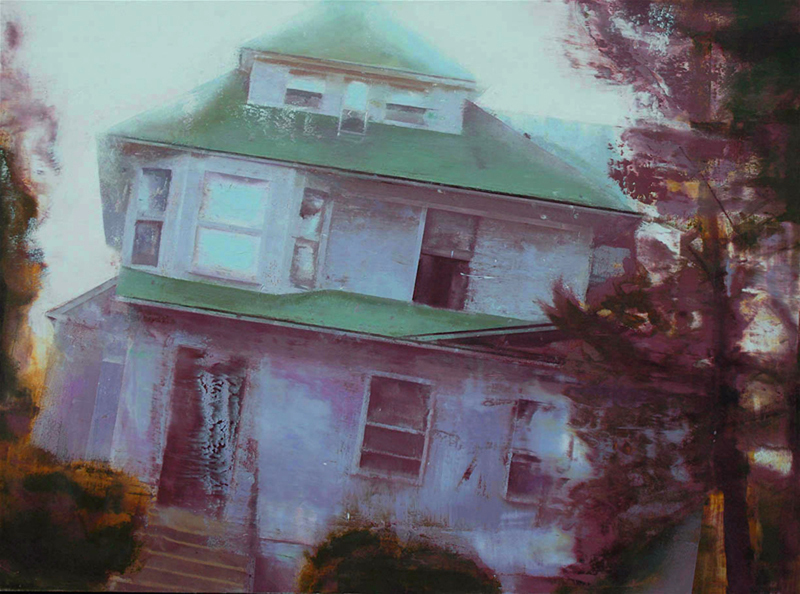 Her recent work has earned her the Grand Prize Award in the IBA Annual, a 6-person show at Rehs Contemporary Galleries, an Honorable Mention and Gallery Award with the ARC Salon, and participation in the International ARC Salon Exhibition. 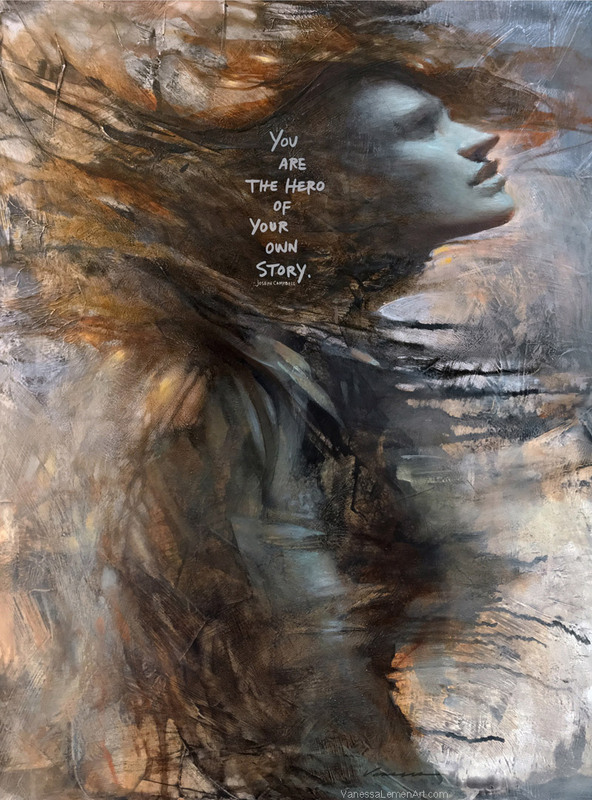 Described through metaphorical imagery, it’s excerpts from her personal journey and reflection that she credits most as the inspiration for her work, and rolling with the unexpected as the very nature of her process. 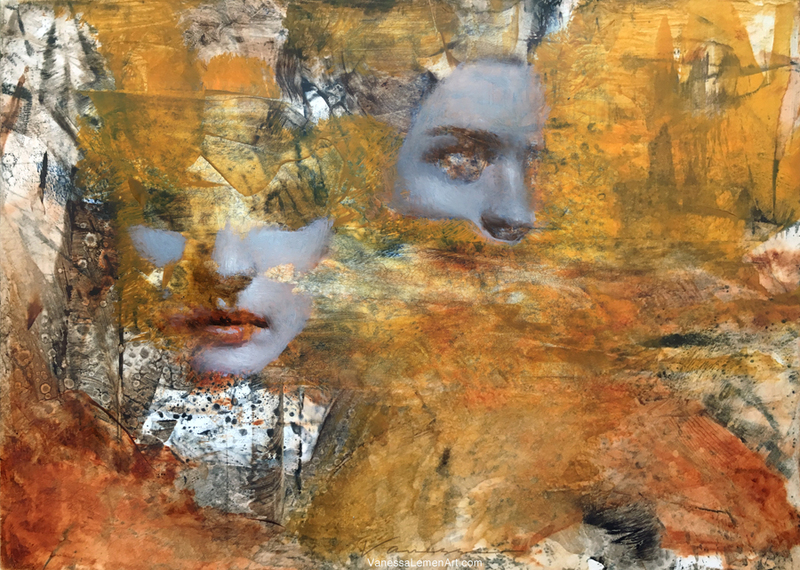 Each piece she creates seems to come from a chaos, and in it, she is able to create a place of reflection and curiosity, a balance of the deep-seated and the unknown, with areas of rest and of movement that intertwine to form a calm amid the chaos.